Dr. Anita Teslak is GreeneStone’s Vice President in charge of admissions to the Muskoka facility. She provides assessments, delivers counseling, coaching. and supports and oversees the residential treatment facility. Before joining the GreeneStone team, Dr.Teslak was most recently the CEO of Adler International Learning Inc. and has continued with Adler as a Professor of Psychology in their Master’s Degree Program. She has held senior leadership roles in the EAP, consulting, and financial industry as well. Dr. Teslak is a member in good standing with the College of Psychologists of Ontario and a member of OPA and CPA. She was a board of trustee member for the Psychology Foundation of Canada where she chaired the workplace committee where she developed the “Staying on Top of Your Game” a mental health wheel. Her article, “Motivation in the Workplace” was published in the Individual Journal of Psychology Spring 2010. Dr. Teslak holds a B.A from York University and an M.A. in Counseling Psychology and doctorate in Clinical Psychology. “Accompanying people in recovery and helping them start their new lives is challenging and inspiring. Energy consumed by pain and shame is miraculously transformed into respect, dignity and honour. Truly a new freedom”. Dr. Jacyk is a physician, educator and researcher who bring over 30 years of experience in treating addictions and conditions that often co-occur with substance abuse. Prior to coming to Ontario, Bill was an Associate Professor in Internal Medicine and Psychiatry at the University of Manitoba teaching hospital, St. Boniface General Hospital. He specialized in Substance Use Disorders in Health Professionals, Pilots, Air Traffic Controllers and First Responders as well as other safety-sensitive occupations. He has published research identifying the issues of alcohol and prescription drug abuse in the elderly. Dr. Jacyk joined Homewood Health Centre in 1999 with the express purpose of developing a program specifically for seniors and subsequently was also instrumental in developing a comprehensive program for those who suffered concurrently from addiction as well as Posttraumatic Stress. Bill joined GreeneStone 12 years later to further develop an evidence-based concurrent disorders program in the healing environment of GreeneStone. Dr. Jacyk advocated for individuals who have suffered childhood, adult, domestic and occupational trauma and for several years was the chairman of the Canadian Centre for Abuse Awareness. He was recognized for his contribution by receiving the Queen’s Jubilee Medal in 2002. He is a member of the Royal College of Physicians and Surgeons, the National Coordinator for treatment and education for NavCanada and the Senior Clinical Consultant for GreeneStone. Stephen is the Program Director of GreeneStone Muskoka. He brings with him over twenty years of experience in a variety of settings in both the public and private sector. He has worked in Quebec and Ontario in the area of Addiction and Mental Health delivering counseling, education, and support for those in recovery. Prior to arriving to GreeneStone, Stephen lead St. Michael’s Homes in Toronto in the role as Program Director. He holds a Master’s degree in Human Systems Interventions, a graduate diploma in Instructional Technology and recently completed Rotman’s Community Health Leadership program. Stephen is a systems thinker who believes strongly in building a cohesive team. Stephen is a dynamic and energetic take-change agent with a long history of helping organizations to develop and grow. Connie is a Nurse Practitioner and provides intake physical exams and episodic care for GreeneStone residents. Connie brings with her 30 years of healthcare experience that has spanned the North Simcoe Muskoka region in both the urban and rural community. Connie has held the title as Red Cross Homemaker, HCA, PSW, RPN, RN- BScN, and Nurse Practitioner-PHC, MSc. She has worked in almost every field of healthcare from providing home care for children with specials needs to seniors and end of life care, long-term care, public health, and a previous regional Sexual Assault/Domestic Violence Nurse Examiner. She has also worked in remote communities in the Sioux Lookout Zone in Northern Ontario for many years and provided care as a Community Health Nurse/Acting Nurse in Charge, which included a strong component in mental health and addictions. Connie is actively involved in promoting improvements for mental health and addictions in the Local Health Integration Network (LHIN) 12 region. Connie is currently a Board Member and Treasurer at the Nurse Practitioner-Led Clinic in Huntsville, ON. The entire staff at GREENESTONE is waiting to serve you. And with a team as knowledgeable, capable, and skilled as ours... you couldn't be in better hands. Hildegard Rempel Jacyk is a therapist providing counseling focused primarily on the integration of spirituality and recovery, along with facilitating the process of grieving of losses. Hildegard holds a Bachelor of Social Work Degree and a Master’s Degree in Transpersonal Psychology, namely a Holistic Psychology, drawing widely from teachings of major spiritual traditions. With 25 years of experience in counseling and accompanying individuals, Hildegard employs a variety of meditations and mindfulness practices and incorporates the most recent and updated training in grieving losses, change and transitions. Hildegard models a serene, calming, quiet presence and style in her accompaniment and guidance, allowing participants to experience a sense of what it means to live a spiritually-centered life. This is provided in an atmosphere of respect, honour and affirmation, all in keeping with the beauty, peace and tranquility of nature in which GreeneStone is nestled. Lindsay Johnson is one of the Addiction Therapists here at GreeneStone . She has graduated from the University of Toronto with an Honours Bachelor of Science, as well as graduated with honours from Post graduate studies in Addictions: Treatment and Prevention. Previously, she has worked in Community Programs supporting individuals with mental health and addiction issues as well as in a Women’s In-patient Treatment facility in Western Canada. Matt is a primary therapist here at GreeneStone and he has been part of the team since April 2012. Matt graduated from CTS College with honours in 2011 and completed his placement at Salvation Army Hope Acres. He was also a fulltime case manager at Halton Recovery House prior to working here at GreeneStone . He is currently in the process of acquiring his International Drug and Alcohol certification. 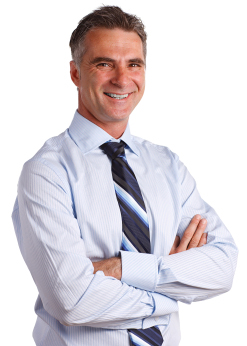 For over 2 decades, Matt has been working with individuals dealing with substance abuse issues. Originally from England, Keith studied Archaeology and Anthropology at the University of Cambridge and worked for a community mental health team for 7 years before completing his 5-year Masters Degree in psychotherapy at the Metanoia Institute, which is part of Middlesex University, London. He also trained in Somatic Psychotherapy with Dr. Ruella Frank at the Center for Somatic Studies in New York City. He has attained postgraduate diplomas in working with people with addictions and eating disorders. Prior to moving to Canada, Keith worked at the prestigious Life Works Community in the UK where he was the Senior Psychotherapist, offering individual, group and family therapy to people recovering from addictions and eating disorders. Before joining the team here at Greenestone Muskoka, Keith worked for the Eating Disorder Program at Toronto General Hospital where, in addition to his clinical role, he also taught and supervised postgraduate clinical interns and was an Adjunct Lecturer and Field Supervisor for the Factor-Inwentash Faculty of Social Work at the University of Toronto. A passionate artist and musician, Keith is starting his PhD in Expressive Arts Therapy in September 2014. As a GreeneStone Clinical Associate, Tim’s client support role includes the following: group facilitation, Aftercare Support, individual counseling, 12-step facilitation and coordinating recreational activities. During his 10 years of working experience in Residential Treatment settings, Tim’s duties have included Withdrawal Management Counselor, Aftercare Coordinator and Primary Therapist for over two years at the Baldy Hughes Therapeutic Community in British Columbia. Tim has been awarded certificates from Vancouver Community College in Substance Abuse Counseling as well as in Business Leadership. Tim has completed certificate courses with the University Of Toronto and CAMH in Concurrent Disorders, Applied Tobacco Cessation Counseling and Opioid Dependence Treatment. He has also completed the beginning as well the intermediate sections of the Dialectical Behavioral Therapy Program and is also is engaged in completing the Cognitive Behavioral Therapy Program. He is a proud member of the Canadian Addiction Counselors Certification Federation and is in the process of acquiring his international certification. Andrew completed the Addictions and Mental Health graduate certificate program at Durham College in December 2012; he graduates in June 2013. He completed his field placement at GreeneStone in the fall of 2012, gaining practical experience with group facilitation, individual counseling, and learned about the diverse ways in which addiction can impact lives. He also has an honours Bachelor of Arts degree in Psychology from York University. Andrew is happy to be back at GreeneStone as a part- time Clinical Associate. “Happiness is the state of consciousness which proceeds from the achievement of one’s values”. Spencer is the Director of Nursing Care for GreeneStone Muskoka. Spencer comes to GreeneStone with over 20 years of experience serving both hospitals and community settings. He has worked in palliative care-Addiction/Mental Health with a focus on client self-empowerment. He is passionate about the journey of recovery and encourages a holistic approach to wellness. Spencer is a member of the RNAO and he belongs to the Palliative Association of Ontario. Graduated from Practical Nursing program at Georgian College August 2011. She completed a six month New Graduate Imitative Program at Royal Victoria regional health Center. Lisa gained experience in minor exam of Emergency department, medical rehabilitation and surgical nursing. Lisa also worked at a long-term care facility. She has always wanted a career in mental health and Addictions and is very passionate about this area of Nursing; Lisa is very grateful to have found GreeneStone Muskoka and is looking forward to a long and rewarding career as part of the health care team. Lisa is a registered practitioner nurse here at GreeneStone . 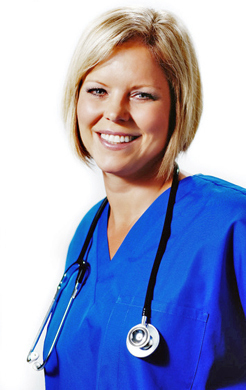 Lisa began working at GreeneStone while she was a practical nursing student in 2012. Prior to returning to school for nursing, Lisa completed her honours B.A. in Social Justice and Peace Studies and Childhood and Family Relations. The Nursing profession is about helping as well as being there for others when they need it the most. Devon graduated from Canadore College in Parry Sound. Devon nursed at West Parry Sound Health Centre working in many different departments in the hospital. Devon currently works at GreeneStone Muskoka as a Registered Practical Nurse and continues to work at West Parry Sound Health Centre. Devon looks forward to being helpful to all the faces and personalities she will meet along the way at GreeneStone. Diane has a long and varied career since graduation from Ryerson in 1975. She brings many years of experience spending many years working as an active psychiatric nurse, float nurse in general hospital duty and in long-term care. Diane is also an active member in O.N.A as a bargaining unit president. Diane is also a certified member of the Workmen Safety and Insurance Board. Diane has been a part of the health care team at GreeneStone since 2011. Kim is the General Manager of GreeneStone . She has her master’s degree in Counselling Psychology and has over 16 years’ experience in the addiction industry working with the adult population. Kim has worked at various levels within the field such as front line addiction counsellor in inpatient and outpatient programs, clinical supervisor for addictions counselors and program coordinator for the addiction program at Homewood Health Centre. As the Front Office Administrative Assistant and Receptionist at GreeneStone, Joanne brings many years of successful experience in the service industry. A Business Administration and Accounting Graduate, Joanne attended post grad courses with continuing her education in areas such as Computers and other surrounding subjects. Joanne is heavily involved in big fraction of the day-to-day administrative tasks at GreeneStone, such as answering the phones, compiling information for clients and referrals and helping the staff be more efficient. In addition to the administration functions she helps the residents with various tasks in their daily life. 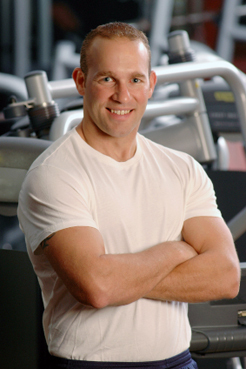 Phill Zullo is recognized as a leader in the health and fitness industry with over two decades of experience in the field. He is recognized for his expertise on elite athletic training, injury rehabilitation, weight loss, and health and lifestyle management. His own personal life experiences have fueled his passion in his work. Phil’s clients have ranged from athletes in the NHL, PGA, MLB, CFL, NFL and Olympians from Canada, U.S, China and Russia to models, actors, global business leaders, young athletes and children with special needs. Through his travels, Phil’s tactics and success have gained him much recognition. Wendy joined the GreeneStone team in July 2012 as overnight security and support staff. While working in that role, Wendy studied and earned her diploma as a Drug and Alcohol Treatment Specialist. She then transitioned into the role of Clinical Associate. Wendy is also a published author and enjoys writing romantic suspense novels. She is currently working on the third novel in the Taylor Sinclair Series. Sean Sullivan is the in house Executive Chef at GreeneStone. He has been leading the kitchen team since being appointed in October 2012. Chef Sean loves the challenge of cooking for clients that are committed to eating healthy. He believes that his motivation for cooking comes from exercising creativity, variety and passion in the kitchen. His culinary career started at Dubrulle French Culinary School in Vancouver in 1997, finishing the program with honors. After apprenticing under Team Canada’s gold medal chef Yoshi Chubachi at the Calgary Petroleum Club, he went on to complete his red seal certification in 2001. Chef Sean’s culinary passion led him to being a personal chef abroad cooking on private yachts. After travelling extensively on 5 private yachts throughout 34 countries he took a break and worked at Vancouver’s Lumiere with Chef Rob Feenie. After completing a culinary bread course in Bath England at Le Bertinet and Notters School of Chocolate in Orlando Florida he now resides in Muskoka where he calls home.